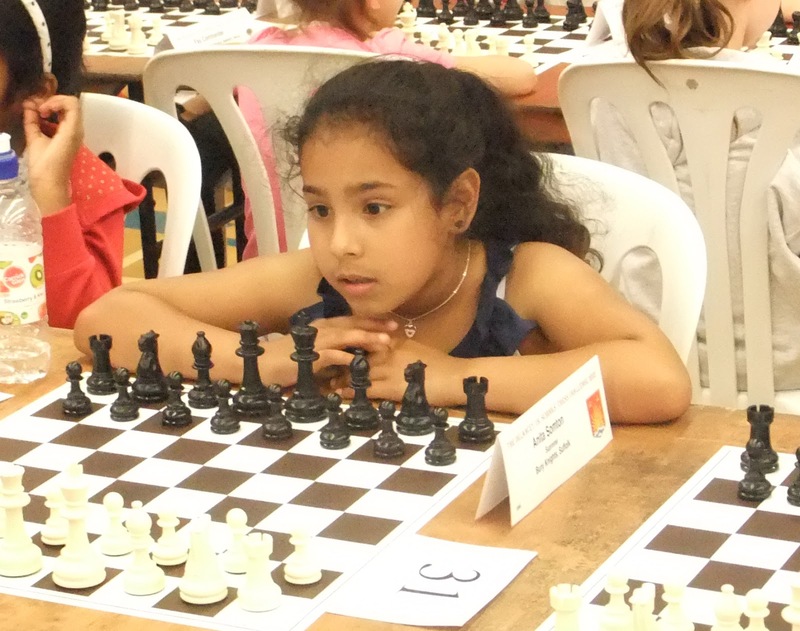 As this will be the last posting for ten days, it's a good opportunity to wish 9-year old Anita Somton the best of luck in the forthcoming WORLD SCHOOLS CHESS CHAMPIONSHIPS. Anita and her father Somton leave next Monday for a ten-day trip to Halkidiki in Greece that will involve nine daily games of up to five hours duration. Anita is one of a 48-member squad of England players. 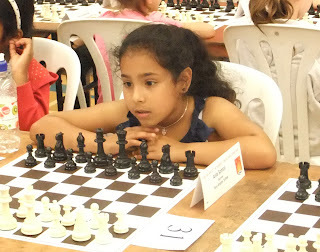 Playing in the Under 9 Girls section, Anita will be facing strong opponents from countries that include Kazakhstan, Turkey, Romania, India, Slovenia and Azerbaijan. Anita is a member of the Bury Knights Junior Chess Club, which has awarded a grant of £250 to assist with travel and accommodation costs. I will be on holiday until 10 May, so there will be no more postings until then. 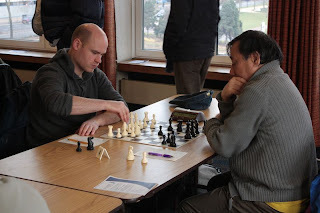 Back in January, Saxmundham Chess Club won their way through to the semi-finals of the National Intermediate Club Championship (see report here). To qualify for the Intermediate section players must be graded below 170 and the team grade must be under 580. This coming week should see the remaining matches played in the League and cups. In Division 2, Saxmundham take on Adastral Park on Tuesday 30th. In Division 3, the only outstanding match is Felixstowe v Stowmarket Rooks. This was due to have been played back in January and no new date appears to have been set (according to Dave Wild's website). There are two Finals to be played. The Under 125 Final is between Felixstowe and Ipswich, whilst the League Cup Final sees Manningtree take on Ipswich. This match was due to have been played last week, but no result has been submitted. Perhaps it wasn't played - does anyone know? So, for the first time since 2002/03, Cambridge City Chess Club will have only two teams in Division 1 next season. See the Bury Area Chess League website for detailed tables etc. In a fascinating finish to Division 1 of the Bury Area Chess League, Cambridge Choristers came within a whisker of grabbing the title from leaders Linton A. Facing Bury St Edmunds Scorpions last night, the Choristers fielded their strongest team, outgrading their opponents on three of the four boards. Choristers needed to win 4½-½ to climb above Linton in the final league table. That score would have placed them level with Linton, with an identical number of wins. But in this league there is a second tie-break based on the results between the two teams during the season. With a draw and a win behind them, Choristers would have triumphed had they won on three boards and drawn on one (remember, in the BACL there's a bonus point for a team win). The Scorpions team included Shaun Munson and Ian Wallis, who play for Bury St Edmunds in this league. Linton owe them a drink or two, because Shaun drew (against IM Richard Tozer) and Ian beat Rob McCorry. The other two boards lost, making the final score 3½-1½ to Choristers, a point short of their target. So, the Bury League Champions for 2012/13 are Linton A. Left to right: Kevin Clark (191), David Coleman (202), Paul Kemp (188) and Norman Hutchinson (186). We all have our favourite chess sites, so let's share them. Either reply in the comments box below, or email me with your best websites. When I've received a number of replies, I'll publish a full list. Ipswich Chess Club is making a habit of winning everything this season. Following their success in winning Division 1 (as reported here) and the Suffolk Final of the Norfolk and Suffolk Cup, they have also beaten Felixstowe in the Final of the Under 145 Cup. Ipswich can also win the remaining uncompleted competitions. In the Under 125 Cup, they again play Felixstowe (who can field the same team as played in the Under 145). The Final of the League Cup will see Ipswich face Manningtree. Ipswich convincingly won the Suffolk Final of the Norfolk & Suffolk Cup this evening, beating Bury St Edmunds by 4½ - 1½ (three wins and three draws) On paper, Bury should have won, as they outgraded their opponents on the top four boards. Ipswich will now face Norfolk & Norwich in the Final, at home in May. For anyone interested, a visit to the Ipswich Chess Club tomorrow (Tuesday) should be worthwhile. The two top clubs in Suffolk, Ipswich and Bury St Edmunds, will be battling it out to see who qualifies to play the Norfolk winners (and current trophy holders) Norfolk & Norwich in the Final of the Norfolk & Suffolk Cup. It is anticipated that several 200+ graded players will be on display. Last year, Bury St Edmunds won, for the first time in many years, beating Ipswich on bottom board elimination after the scores were tied at 3 - 3. But they came a cropper against Norfolk & Norwich in the Final, despite having a considerable grading advantage. This year the Final will be held in Suffolk (it alternates each year). A full report on the match will appear late tomorrow evening. (A.1) Rapidplay is where each player has between 15 and 59 minutes to complete the game. (A.2) You do not have to record your moves. (A.4d) An arbiter shall refrain from signalling flag fall (unlike in standard play), unless both flags are down. (B.1) Blitz is where each player has fewer than 15 minutes to complete the game. (B.3b) FIDE Rule 10.2 does not apply. 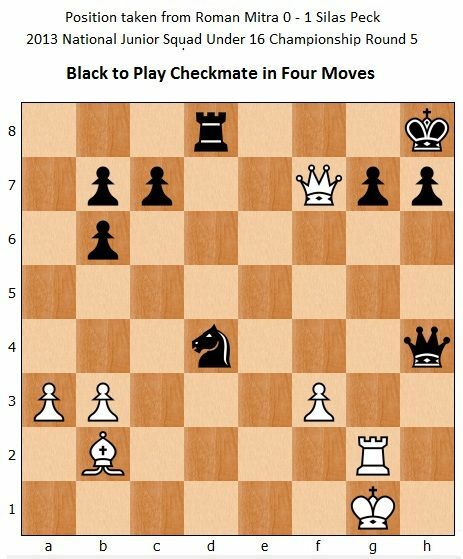 (B.3c) An illegal move loses, provided the opponent claims before making his move. If the claimant cannot checkmate, then he can claim a draw instead. If you are playing in a Rapidplay event, such as the Cambridgeshire Rapidplay in Peterborough this coming Sunday (21 April), be sure to check up on the relevant rules before you go! NB. There will be no further postings this weekend as I'm off to Bristol this evening. Next one will be on Monday. In the position below (Ian Wallis v Norman Hutchinson, 16/4/13) Black has just played 25. ... Qg7, hitting the knight on h6. Does White have to worry about it? How would you continue? White correctly assessed that the 'threat' is illusory and played 26. Raf1, bringing the last piece into play but rejecting the stronger Ne6. The game continued 26. ... gxf5? Black obviously believed White and assumed that the knight couldn't be taken; however, 26... Qxh6 was playable, when 27. Nf7 Qh5, 28. Nxd6 provided Black finds 28... g5! - a difficult move to see in advance and one that both players missed. The game continued 27. Bxf5, persistently leaving the knight en prise. But taking with the knight would have been stronger. 27... Bxf5. Better was ... Nh5 but White will win an exchange with either knight to f7. 28. Rxf5 Qe7. It doesn't really matter what Black plays now as White has a winning advantage. 28... Qxh6, 29. Nf7 or 28... Qg6, 29. Ne6 were alternative ways to lose. 29. Ngf7 Ng8, giving up more than the exchange if White wanted to take it. 30. Nxh8 Nxh6, and now 31. Rxf8 was the most precise and would probably have forced resignation. However, Ian played 31. Bxh6 Rxh8, 32. Bf8 which was sufficient to obtain the same result. 1-0. Last evening, playing Black against Paul Kemp in the Bury League, I was faced with this position after White's 30th move (Ne4-g5). With only half a minute remaining, I missed the saving move which would probably have drawn the game. White is threatening Nxf7 checkmate, so I can't take the queen. But White has three pieces attacking h7. Now you know there's a good move for Black, you'll probably find it easily. But with only 30 seconds to think, I missed it and soon lost. Scroll down the page to see the answer. There are two Bury teams in Division 1, with Scorpions currently heading the Scarabs by five points. With just five points at stake in their final matches (in the Bury League there's a bonus point if the team wins), Scorpions need only half a point to ensure they remain ahead of their rivals. The Scorpions team includes Shaun Munson and Ian Wallis, who play for Ipswich in the Suffolk League, and Bury St Edmunds in the Bury Area League. Linton A's final match is against Ely on 22 April, whilst Scorpions and Choristers face each other three days later, on 25 April. Choristers play Ely tomorrow (Wednesday), and a convincing win would put them level or close to Linton. The final positions are still very much up in the air. At the other end of the table, Cambridge Oddfellows appear to be heading for Division 2 next season. If that happens, it will be the first time that there will be only two Cambridge teams in Division 1. "if a player plays for more than one team in the same division, only the results achieved for the team for which he scored the highest number of points shall be considered in calculating his total points score for that season. Points scored by any player for any other team in the same division or in any other division shall be totally disregarded. This affects some players who play for Ipswich and Bury St Edmunds, who both have more than one team in some divisions. Trophies will be presented at the Suffolk AGM in September. The date for the Suffolk Closed Championships has now been confirmed as 22 and 23 June. There will be a 6-player invitation tournament for the Championship and a 6-player all-play-all for the Challengers. The Intermediate section will be a Swiss event with restricted numbers. The venue will be the Ipswich Chess Club. Games are long play and will be graded. Please let Tim Lunn know if you are interested in playing and he will keep an updated list of who will qualify for which section. With the league season soon coming to a close, the teams to be promoted and relegated are almost all known. Champions are Ipswich A (as already reported). Sudbury will be relegated. Bury St Edmunds B look certain to be promoted, although with three matches in hand Adastral Park could in theory overtake them. But they will need to score 11 points out of 12, which seems rather unlikely. The relegated team in Division 2 will be Clacton A.
Congratulations and commiserations to all concerned! 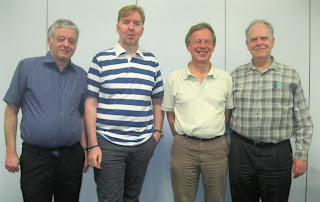 Phil Revell, Kevin Greenacre and Bob Stephens won both their games; Jakob Tulic lost both. Ian Wallis and Bob Jones have one draw and an unfinished game; Jim Buis has one loss and one unfinished. Tim Lunn has two unfinished games. You will have read here and here about Anita Somton playing in the Under 10 section of the NJSC, but Silas Peck was also playing, in the Under 16 section. He finished in equal fourth place, on 3 points. In his last round, Silas (Black) faced 170-graded Roman Mitra. In the following position, White is threatening mate on the move, and Black has a simple draw by repeating checks with the queen on e1 and h4. But Silas was able to force mate in 4 (at most). Can you find it too? At around 11pm last evening, this website clocked up 20,000 page views. The first posting was on 29 September 2012, so up to and including yesterday it has been going for 193 days. That's an average of just over 100 page views per day. The site is currently averaging 171 per day, with a peak on 17 March of 342. Unsurprisingly, that first posting has received the greatest number of 'hits' (213). In this time, there have been 163 postings. After a slowish start, there has been a new article every day. Many thanks to those people who have provided material, as well as others who have suggested new themes, such as the discussions on the Laws of Chess. If now 3. gxh5, the new h-pawn cannot promote, so a draw was agreed. If instead 5. g5, then NOT ...h4? ?, since 6. Kf7 h3 is a clear win for White. So after 5. g5, Black saves the game with ...Kg8! Then if 6. Kxh5 Kg7 draws. A good and mature save by Anita Somton. Who decides where the clock should be placed? In league matches, it is normal practice for the clock to be placed on White's left-hand side. If White is left-handed, he may prefer to have the clock on his right-hand side; he may suggest that to his opponent. But whilst this may be acceptable in a league match, where there is no arbiter, it will not be allowed in a tournament, where it's the arbiter who decides (FIDE Rule 6.4). The arbiter may wish to walk down a central aisle to view clocks on either side, and this may require some of the clocks to be placed on White's right-hand side. So if you're playing in a tournament, don't move the clock to the opposite side, even if your opponent suggests it. The clock must be pressed by the same hand that made the move (Rule 6.7b). Forcible presses, or picking up the clock, are not allowed, and can be punished by the arbiter, who might initially warn the player, but can penalise him by awarding his opponent more time (Rule 6.7c). Ultimately, the game could be declared lost if the problem continues. A move is not considered to have been completed until the clock has been pressed. The only exceptions to this are when the move achieves checkmate or stalemate. Checkmate and stalemate end the game immediately, so in a time scramble that ends in mate, there's no need to slam the clock after making the decisive move (Rule 6.7a). Who can call a flag fall? Certainly not a spectator, or another player. Unfortunately, if this happens, there's nothing that can be done about it, other than to punish the culprit if this happens during a tournament by banning the person from the event. So, other than the opponent, can anyone else call flag-fall? It may surprise some people to learn that an arbiter can call flag-fall, at least in a standard-play or rapidplay game (but not in Blitz). In fact, the arbiter should call flag-fall if he observes it (Rule 6.8). Flag falls - who wins? Not always the opponent, because the game will be drawn if it is impossible for the opponent to deliver checkmate by any series of legal moves (Rule 6.9). If both flags have fallen, then on a digital clock you can see whose flag fell first. But with analogue clocks it is often impossible to establish whose flag fell first. In this case, the game is drawn if it happens in the final period of the game (when all remaining moves have to be made). But if it occurs in any period except the last one, then the game simply continues without penalty to either player (Rule 6.11). Rising star Anita Somton celebrated her 9th birthday yesterday by scoring 2½/3 on the first day of the National Junior Squad Under 10 Championship (in Daventry). She is still, of course, an 'Under 9' for this season. Then today she played two of the higher-graded opponents in her section. She lost against the top seed (104) in Round 4 and drew against a 99 in the final round. Her grading performance over the five games was 102. She was the best girl in the 26-player section. 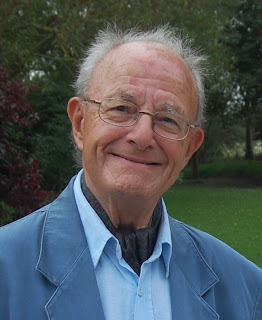 Don Picton died on 25th March from cancer after a relatively short illness. He was proud of his family and will be sorely missed by his wife Vi, sons and family. Don was a keen chess player, and a reliable and supportive member of the Saxmundham Chess Club. Don won the Club Championship in 2001-2, and played for Saxmundham as recently as last December. Don was a lovely man, and a perfect gentleman. He was always considerate of others and had a wry sense of humour. When Bob asked me if I'd write an article on the use of computers in correspondence chess I was quick to agree because I have strong views on the subject! My correspondence chess career started with postal and alongside the development of email and then the ICCF Webserver I have had to adapt to the development of chess databases and deal with the ever-increasing strength of chess engines. I think that the ICCF Webserver is a fantastic innovation; it handles all the time and administrative issues for you and is 'drag and drop' - what could be easier or more convenient? The other big computer plus for me has been Chessbase which has transformed my opening preparation. In June I will begin playing in a semi final of the 37th World Correspondence Chess Championship. When I know who my opponents will be I will look at their previous games so that I can prepare against them. What sort of openings do they struggle against? Are there particular types of position that they mishandle? I enjoy this part of the game and appreciate being able to get game information so easily. The use of chess engines is an entirely different matter and one I feel very strongly about. I continue to play correspondence chess because I enjoy trying to discover the truth about positions that interest me; no way am I going to just switch on a computer and then send off the move it suggests! Some organisations try to ban the use of chess engines but this is unenforceable so it doesn't work well at all. The only practical solution is to accept that some players will use them and this is the route that the ICCF have taken for International play. The reality is that there is extensive use of chess engines in high level correspondence play. So how do I deal with this given my strong opinions? I start each game with the expectation that my opponent is going to use them and I try to get the sort of positions that engines struggle with. By taking this practical approach I have found that another dimension has been added to the game and I enjoy the added challenge. I usually play much faster than my opponents and have between 10 and 20 games on the go at a time. I spend about 10% of my time analysing at the board or using Chessbase and about 90% is spent mulling over different options whilst riding my bicycle or out walking. Despite the ever increasing strength of chess engines my rating has slowly climbed over the years and I am now an IM so my approach might have some merit. Whether you want to use engines to help you analyse, or like me just want to exploit their weaknesses, a good starting point would be 'Modern Chess Analysis' by GM Robin Smith. Correspondence chess is an activity that brings me a great deal of enjoyment, pleasure and satisfaction; if you haven't tried it then why not give it go? If you haven't already seen it, here is an earlier article about John's achievements in correspondence chess. An entry form can be downloaded directly from the Woodbridge School Chess website here. Note that there are age-group sections for every age from Under 7 to Under 18, as well as separate sections for Parents and other Adults. The event is ECF Rapidplay graded. Let's consider the obvious illegal moves. You can't move your rook like a knight; you can't move your king into check; you can't castle through check. There are several other illegal moves like these. But what about some slightly rarer ones? Such as, castling after the king or rook has already moved; capturing a king; making two successive moves without allowing your opponent to play his move? We'll look first at the basics. FIDE Rule 7.1 states that if the initial position of the pieces is found to be incorrect, eg the king and queen are found to be on the wrong sguares, the game must be restarted. If the board is found to be the wrong way round (a Black square on the right) the game continues but is transferred to a correct board (Rule 7.2). If an illegal move has been completed (i.e. the clock has been pressed), then the position immediately before the irregularity should be reinstated. If that cannot be determined, then the game continues from the last identifiable position, prior to the irregularity (Rule 7.4a). For the first two illegal moves by a player, two minutes extra time are awarded to his opponent in each instance; for a third illegal move by the same player, the game is lost by this player. But the game would be drawn if the position is such that the opponent cannot checkmate by any possible series of legal moves (Rule 7.4b). So that's the rules, but what actually happens if, for example, you try to castle but find you're either moving into check, or moving through check. In this situation you must move your king somewhere, as castling is fundamentally a king move. If it's impossible to move the king anywhere, then you can make any other move. But either way, your opponent will receive two extra minutes. Suppose now that you don't notice that you are in check, and move a piece elsewhere on the board. If that piece is able to prevent the check, then it must be used accordingly. If that piece cannot prevent check, either by making a capture, or by blocking the check, then you are allowed to make another move to stop the check. There's a false belief that if you make an illegal move during a quick-play finish, or when there is less than five minutes remaining on the clock, you lose the game. Not true. Your opponent just gets the two extra minutes. But in Blitz chess it is true (at any stage of the game), provided your opponent points out the illegal move before making his own. If you capture the king, that is considered to be an illegal move. But be careful in Blitz chess, because if your opponent leaves his king in check (an illegal move), and you immediately capture it and claim the game, it is you that has made the last illegal move and therefore lose the game. If you had simply pointed out your opponent's error in leaving his king in check, then you would have won. By making your move you are deemed to have accepted his earlier illegal move. If a game has been concluded, and during subsequent analysis it is found that an illegal move was played, then the result stands. If the illegal move had been pointed out before the game had finished (even if it was a number of moves earlier) then as stated above, the game is is reset back to the last identifiable position, ideally just before the illegal move was made. Under FIDE rules, there is no limit to the number of moves later that an illegal move can be pointed out, but in the US, where they have slightly different rules, there's a limit of 10 moves. That's enough on this topic for the time being, but if anyone has any questions on illegal moves, or considers that any of the above statements is incorrect, please let me know! 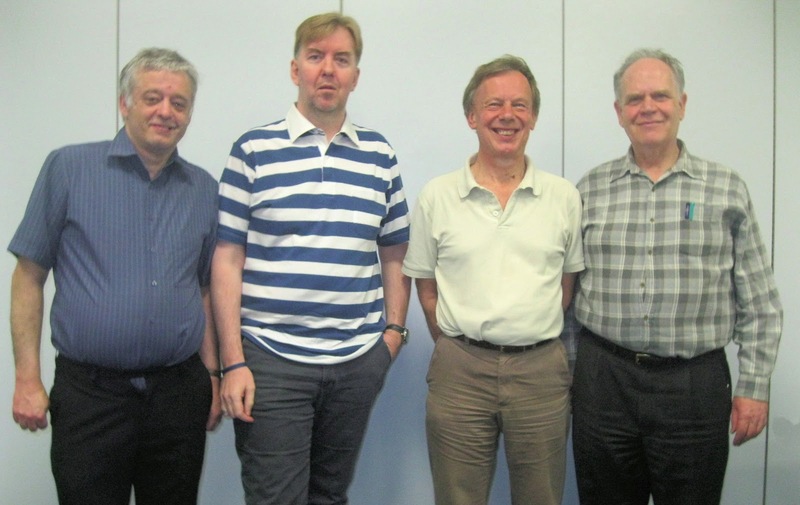 The four-day Southend Easter Chess Congress took place over the long weekend. The seven-round Open section is FIDE-rated, and usually attracts a number of strong players. Ed Player had the toughest draw, after he won in the first two rounds. His three losses were against IM Ameet Ghasi (2452), GM Peter Wells (2491) and in the final round GM Mark Hebden (2518) - see photo below. He managed to gain five rating points from the event, taking him to 2242. David Spence had an easier route to his 4½ points, and lost only one game, to FM Dave Ledger. His rating will fall by 11 points to 2221. Martin, Adam and Keith all managed small rating gains. See the full crosstable here. If you are reading this, but haven't yet had a chance to look at the problems, then close this page now! The problems are here and here. 1. Black's last move must have been a capture on a3, as Black must be on move (1. a3-a4 is impossible as the Black king must have stood on b4). But which piece? Queen or bishop would have meant the Black king was in an illegal check, and there is no way for the piece to be a white rook, as then White would have no last move himself. That leaves only a knight, so 1. ..Kb4 x Na3 is the only possible last move. 2. 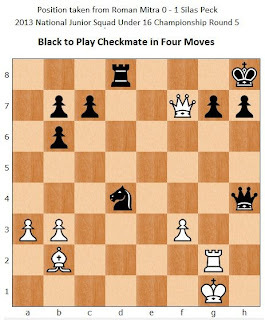 It cannot be Black to move, because any king move or Bb2-c1 would have been from illegal positions. That leaves White to move and he must have captured on b1 - but what? (It must be a capture, not a simple move, as there is no legal previous move for Black other than moving a piece to b1). Queen or rook would have been illegal checks (how did they get there?) and a Black bishop could not have got through the pawns. So the only possible last move is Ba2 x Nb1. 3. Mate in 2 by Rb3, Ka2, Ra3#. b2, a4, c3, a2, c1, d3, b4, c2, d4, b3, d2, b1, a3, finishing up on c4. I suspect this may not be the only solution. Can anyone find another one?